Someone just Googled “stephen hawking chalkboard” and somehow the cruelty that is the Universe took them to my blog. Which totally makes sense, since I’m just as smart as he is. Wait. I take that back. Especially since I misspelled Stephen Hawking. However, I did get to schmooze like a total fan girl with LeVar Burton at a conference I went to in New York this week. LeVar Burton is not only the guy from Roots AND the guy from Reading Rainbow AND the guy from Star Trek, he’s also the powerhouse behind a whole new kind of publishing company that makes books for kids on iPads. He’s like the trifecta of smart-awesomeness. Wait. Quadrifecta. I, however, would be the de-fecta, since I also misspelled LeVar Burton’s name in this post. Yup. 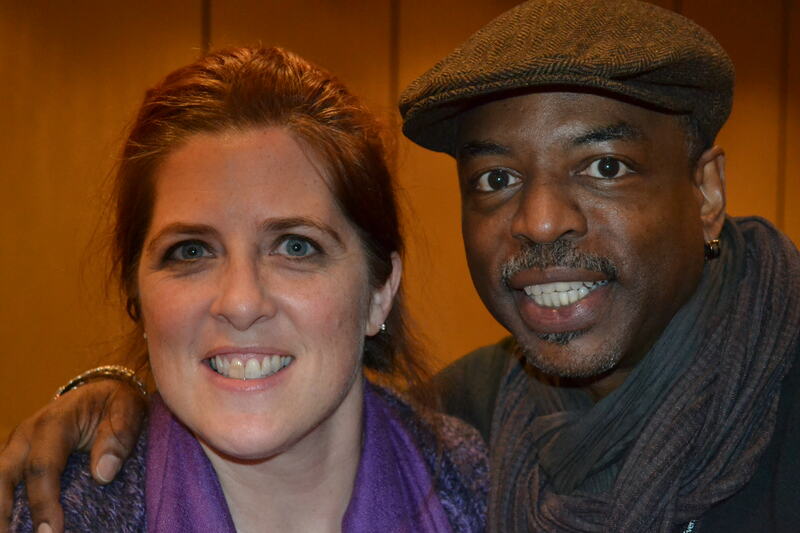 That’s me with the awesomeness that is LeVar Burton. Drink it all in. LMAO…I love it that Stephen Hawking and LeVar Burton count as name dropping, to both of us! No Kim-Kanye fan girls in this crowd! So, I saw the picture before I read the post, and basically just sang the reading rainbow song in my head as I read. Butterfly in the skyyyyyyy, I can go twice as high!!!!!!!!! And that song was NOT about drugs. Puff the Magic Dragon wasn’t either. It was just about a little boy and his pet dragon. The people you know! 🙂 Fun post.